The Pacific Northwest contains some of the most diverse and awe inspiring landscapes anywhere in the United States. This gallery covers areas in California, Oregon, Washington, and into Vancouver Island, British Columbia. Coastal rain forest, tide pools, waterfalls, and towering mountains make this a nature lovers paradise. Some of North America's most impressive peaks are part of the Canadian Rockies. Glacial forces are responsible for the rugged and beautiful terrain, and they continue to shape this area today. This gallery spans the Canadian National Parks of Koootney, Yoho, Jasper, Banff, and Waterton - Glacier International Peace Park. The landscape of the American Southwest survives in one of the most challenging environments I can think of. With heat over 127°F, water almost non-existent, saying that anything prepared to live there faces challenges is quite an understatement. Yet, Native Americans have not only survived, but have thrived in many areas throughout the Southwest. This gallery explores some of the Native American cultural treasures of the area, and the landscape of the American Southwest. The images span New Mexico, Colorado, Utah, South-western California. Across the United States, I've come across several areas that could best be described as "in transition". We often don't think of the landscape as rapidly changing, but sometimes when we visit an area like Lassen Volcanic National Park in California, or the thermal vents of Mammoth Hot Springs in Yellowstone National Park, we understand that nature is very active in carving the future of these magnificent places. This gallery covers some of these area where for one reason or another, the forces of nature are that much more pronounced. Included are Yellowstone National Park, the Badlands, Lassen Volcanic National Park, the Grand Tetons, and the Inyo National Forest of California. Voyageurs National Park in northern Minnesota is home to some of the most sublime scenery in North America. It has an incredible amount of biodiversity, and is affords visitors the chance to explore the wilderness throughout the park. I was lucky to have the opportunity to live there for several months both in the Summer, and the Winter, as an Artist-in-Residence of the park. 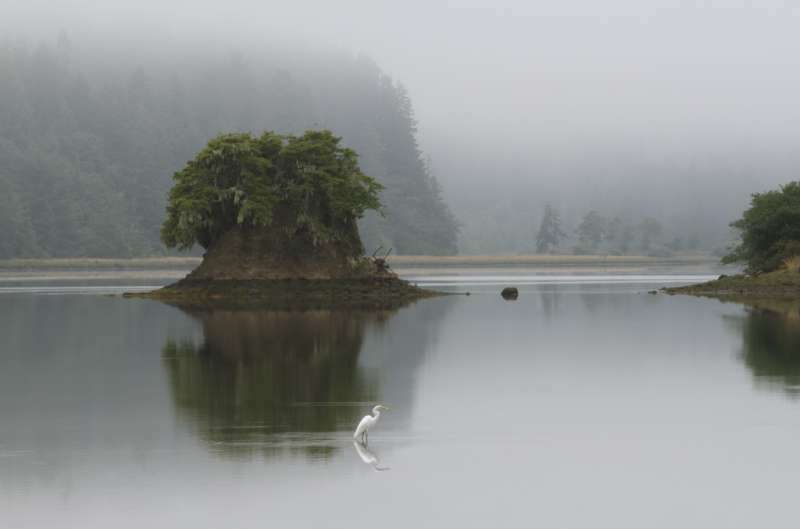 This gallery explores the coast, wildlife, and grand landscapes of the park. Located in Western Kentucky, Mammoth Cave National Park is home to the world's longest cave. Stretching well over 350 miles, Mammoth Cave was the focus of my 2005 book, Mammoth Cave National Park: Reflections. This gallery explores the park in both the above and below ground landscape. From water, to sinkholes, to the cave formations and underground rivers, this park is constantly changing. Covering two unique and exciting destinations in Ecuador, the Galapagos National Park and the Tandayapa cloud forest this gallery highlights the diverse wildlife found in these truly wild places. From hummingbirds to blue-footed boobies and marine iguanas, Ecuador in home to some of the world's most pristine wilderness. The Galapagos Islands are where Charles Darwin explored his theory of "natural selection". This gallery explores the area around my home. Being a native New Yorker, I've explored the Northeast from New York to Maine, and selected images from throughout for this gallery. The small town of San Miguel de Allende Mexico bursts with incredible color and culture during their annual day of the dead celebration. Street life and architecture meet in the unique city of San Miguel, as I explore the churches, streets, and culture of this Mexican city. Much of my photography has centered around the United States National Parks. I have served as an artist-in-residence for 3 parks, Voyageurs National Park, Mammoth Cave National Park, and the Buffalo National River. In addition, I have traveled to many parks during my cross-country photography trips. From Death Valley to Acadia, Olympic to the Smokies, this gallery covers the best of my travels through the National Parks, and is updated as my trips continue. Charleston South Carolina is a great place to capture the essence of spring. Lush gardens boast colorful flowers in bloom alongside traditional southern architecture. The city of Charleston has a distinctive feel and pulse that make it a perfect spot to combine beautiful private gardens with historic houses and cobblestone streets. This gallery explores both the city of Charleston, and the beautiful plantations just outside of the city.